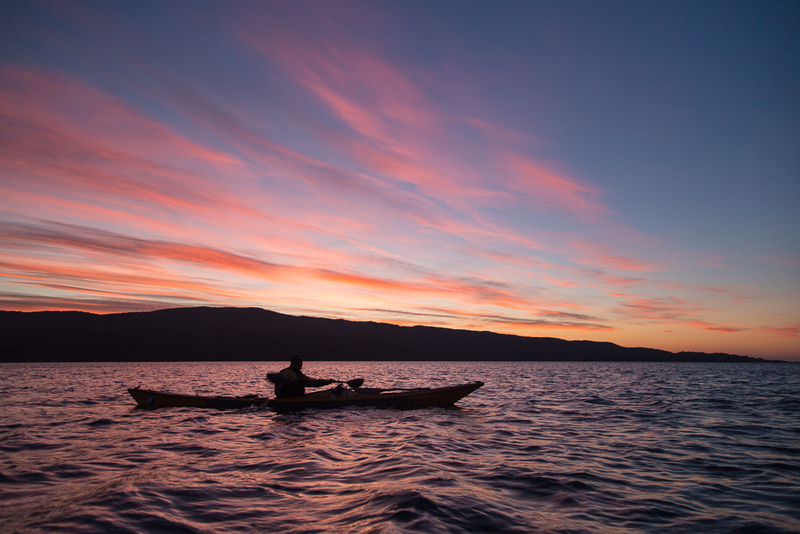 Under a blood red sky at Cul na Croise. 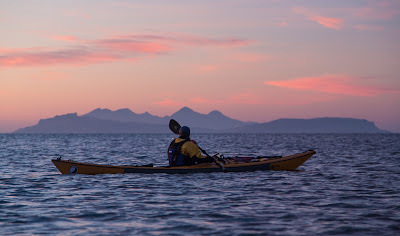 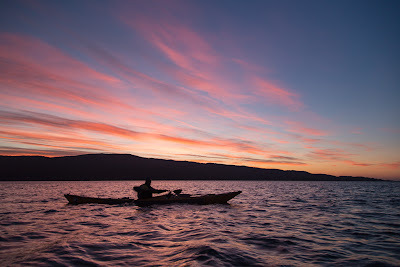 As Mike paddled directly back to the shuttle car at Ardtoe, Ian and I sat in our kayaks and savoured the stunning sunset until it was nearly gone. 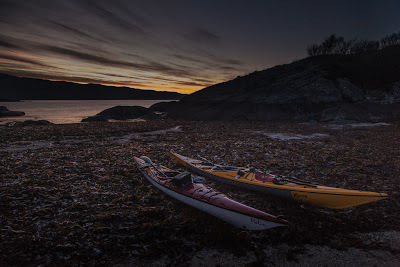 By the time we got to Ardtoe it was nearly dark with only a few embers of the long gone sun slowly fading in the south west sky. 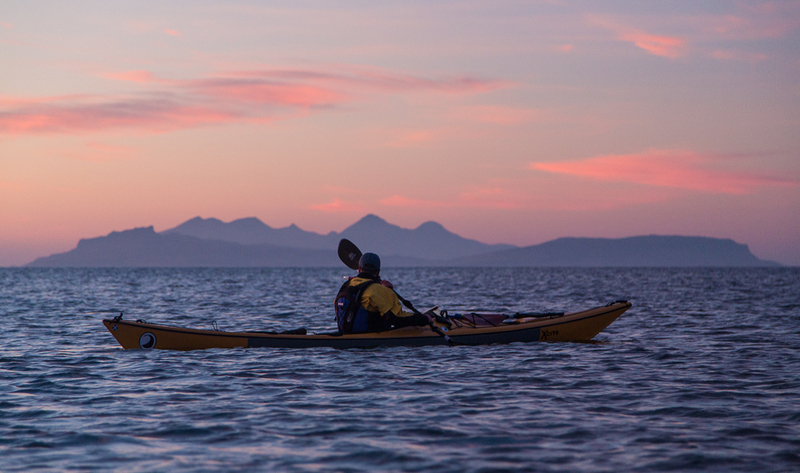 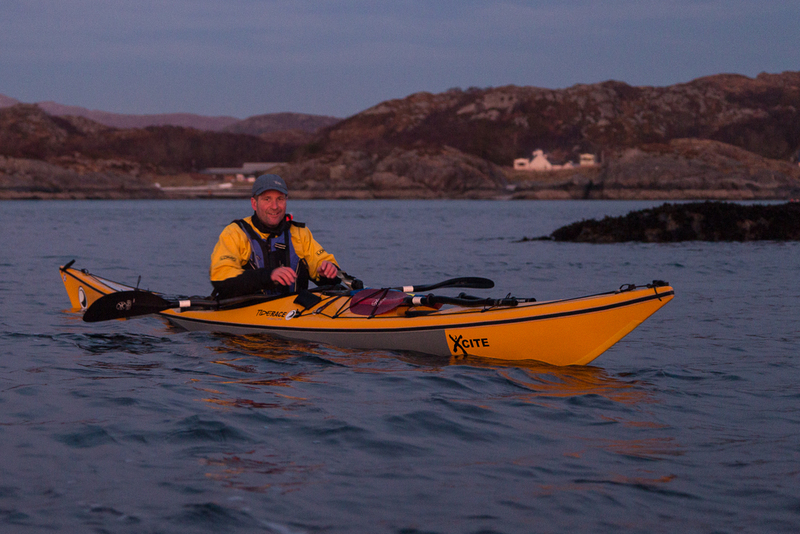 The north coast of Ardnamurchan, Portuairk to Ardtoe (27.5km) proved to be a stunning but committing paddle. 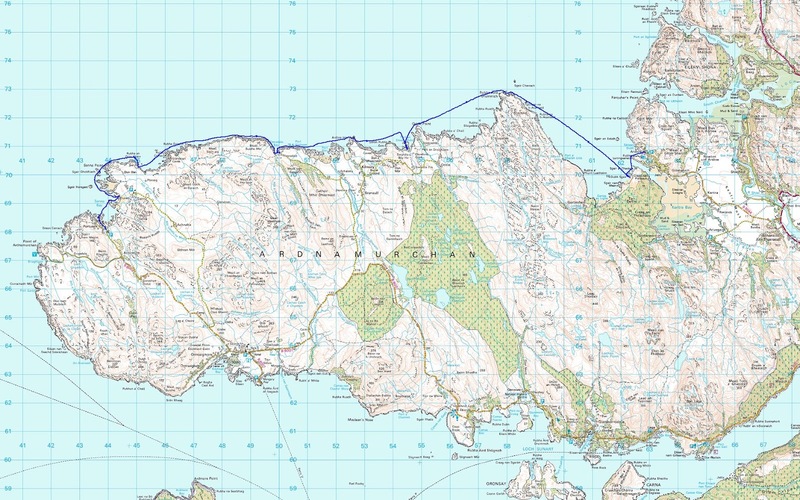 On the narrow single track roads, the shuttle took two hours to set up and another two hours to recover the car at Portuairk two days later. 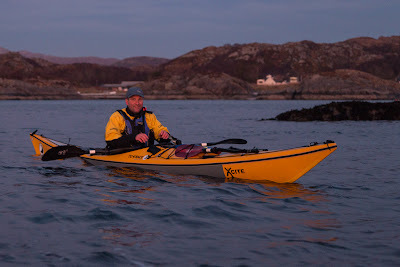 I am particularly grateful to Ian and Mike for the driving as I would have been unable to drive that distance on these roads, never mind paddle afterwards! 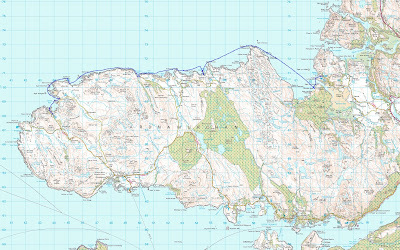 You can read another illustrated account of this Ardnamurchan trip on Ian's blog here, here and here.